This drum lampshade, made by hand with love, available in different sizes, can be used on a lamp base or as a pendant lamp, and is the perfect addition to your interior. Lampshades in colours that match the colour scheme in your interior are essential for a cosy atmosphere at home. 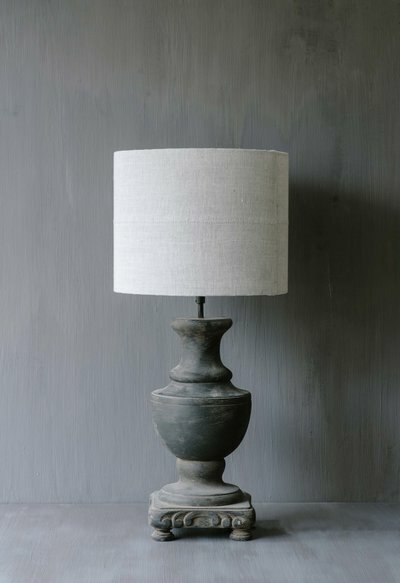 The effect of beautifully woven linen on a lampshade is unparalleled. Because we care about the environment, we prefer to start making directly after you have placed your order rather than creating in bulk. These unique handmade home furnishings are available in a selection of our natural fabrics, based on the nature of the fabric.